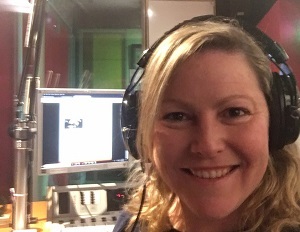 Beginning on Tuesday February 26 Claire Stuchbery returns to drive-time radio with her show Firewater (5pm – 7pm). Between 2000 and 2013 Claire was a constant presence on PBS before work commitments took her from the airwaves. Firewater returns to the PBS airwaves with a focus on rock and indie music alongside elements of hip-hop and indigenous Australian artists often overlooked in other media. From Friday March 8 Penny O’Brien (DJ Pjenné) joins the PBS roster with a new show focusing on leftfield dance and electronic music. Between 8pm and 10pm Passing Notes will take listeners on a trip of dancefloor explorations. Penny is an active member of Melbourne’s DJ and electronic music scene and she’s no stranger to PBS listeners having presented many guest mixes and fills for other PBS programs. In case you missed it, CC:Disco is moving to Europe – Friday nights on PBS however will continue to be your weekend party-starter as Passing Notes takes to the airwaves. Penny’s first program will be International Women’s Day – Friday March 8.